A 7.3 magnitude quake that struck the Iran-Iraq border late Sunday (November 12th) has killed more than 300 people and left an estimated 2,530 or more injured. As aftershocks continued till this morning and as rescuers sped up their operation, Iran’s state news agency IRNA confirmed the death toll, saying at least 382 of the injured remain in hospital. 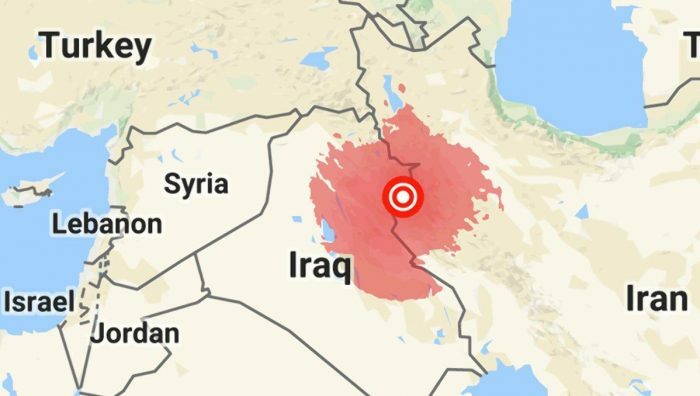 The US Geological Survey said the 7.3 magnitude tremor was centered 30 kilometers (19 miles) southwest of Halabja, near the northeastern border with Iran. Most of the victims are believed to be in the Iranian town of Sarpol-e Zahab in Kermanshah province. In Iraq, officials said the quake had killed six people in Sulaimaniyah province and injured around 150. “Four people were killed by the earthquake” in Darbandikhan, the town’s mayor Nasseh Moulla Hassan told AFP. Another two people were killed in Kalar, according to the director of the hospital in the town about 70 kilometers (45 miles) south of Darbandikhan. Iranian rescue teams are rushing to try to find survivors but their efforts have been hampered by landslides which have cut off many rural areas. Officials expect the casualty toll to rise when search and rescue teams reach remote areas of Iran. 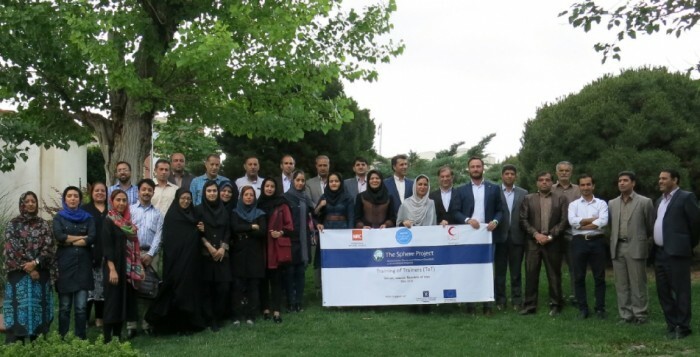 Community World Service Asia Response: Community World Service Asia’s disaster response team is in contact with local partners in Iran and are compiling information on damages and losses incurred due to the earthquake. Community World Service Asia’s team is on standby and will act as the need to respond arises. 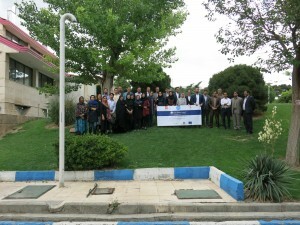 The first ever Training of Trainers on the Sphere standards was conducted in the city of Iran this May. 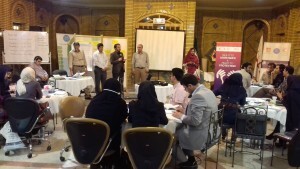 Funded by the Norwegian Refugee Council (NRC) and planned in collaboration with the Iranian Red Crescent Society (IRCS), the training was thoughtfully designed and facilitated by Community World Service Asia considering the Iranian context. 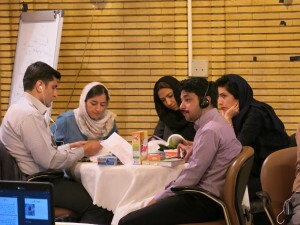 To promote effective humanitarian response in Iran, ICRI has conducted a series of Sphere trainings in Iran during recent years in coordination with NRC. 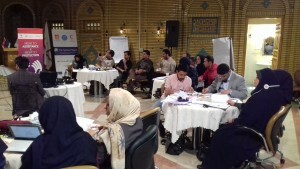 Following the three day basic Sphere trainings, the key stakeholders involved recognized the need of creating a larger pool of Sphere trainers in the country to join existing three member sphere trainers’ team. Community World Service Asia has been providing humanitarian support to programs assisting refugees in Iran since June 2015. However, this has been the organization’s first experience in its quality and accountability interventions in the country as they provided technical support to conduct this first-ever Sphere ToT. 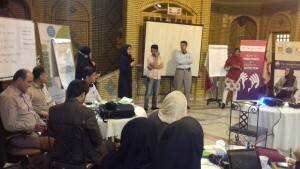 Participants at the training belonged to various sectors of the humanitarian community present in Iran. These included Red Crescent staff, government officials, UN representatives and national aid workers. This event proved essential in providing a joint platform for key stakeholders of the humanitarian community to collaborate on understanding the Sphere handbook and its application. Discussions are underway to support the selected ToT graduates to become expert Sphere trainers. 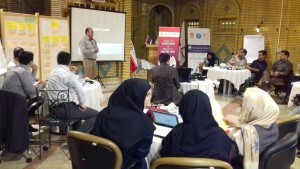 As an immediate outcome of the ToT, one of the participants introduced the Sphere Standards in his recent lecture at the Iranian Red Crescent’s research institute. The respective agencies are looking forward to having a joint strategy in building the national capacity in Iran through the use of the Sphere Minimum Standards.